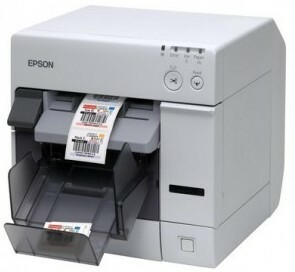 The EPSON SecurColor On-Demand Printer is your prescription for the professional looking labels. With PK Software's partnership with EPSON, The Compounder Rx and The Compounder Lab now come preloaded with new label templates that are built specifically for the SecurColor. SecurColor™/ColorWorks™ C3400 Color Printer Epson's innovative color-on-demand SecurColor/ColorWorks C3400 color label printer offers fast, reliable printing for custom color-enhanced labels for a wide range of industries from healthcare and manufacturing to entertainment and more.